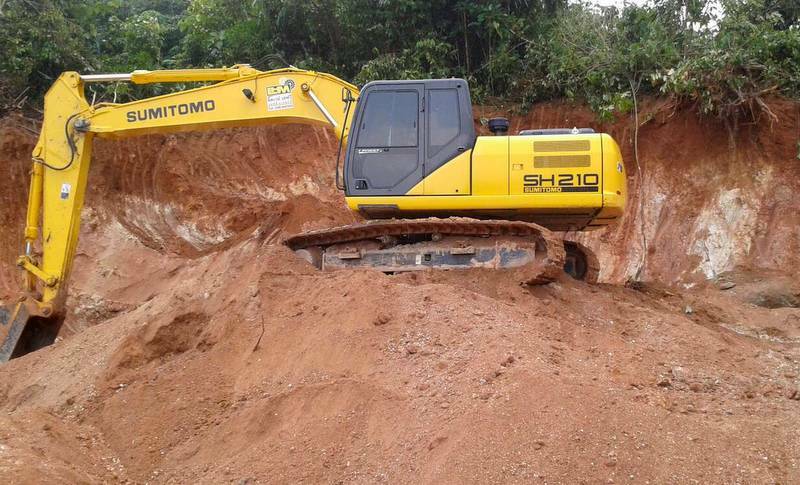 PHUKET: A leading local official is wanted for operating an illegal excavation business in Mai Khao, at the northern end of Phuket. Navy personnel provided security during the raid on the illegal excavation site. The type and extent of excavation was deemed illegal. Eight drivers and eight trucks were seized. 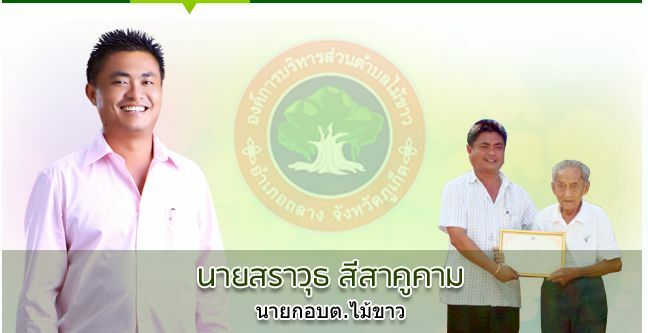 Sarawut Seesakukam, president of the Mai Khao Tambon Administration Organisation (OrBorTor). 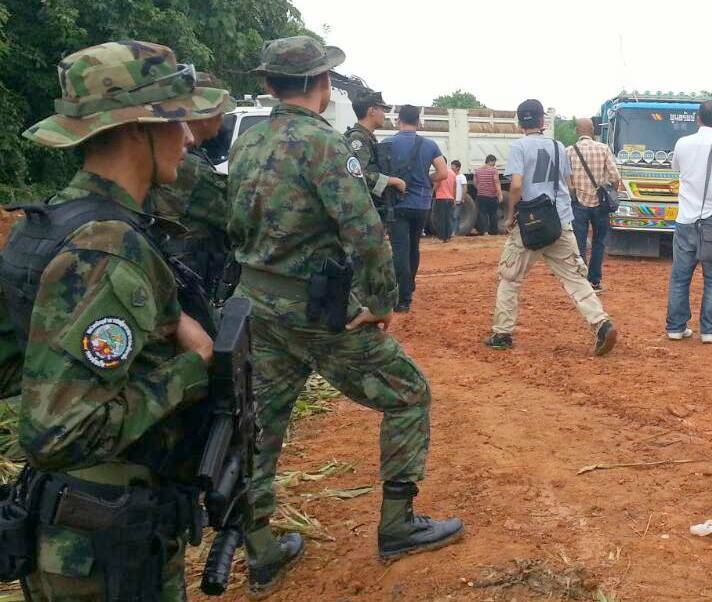 Officials bolstered by Royal Thai Navy security personnel raided the site, in Moo 4, immediately north of Phuket International Airport, today (July 29). At the scene, officers found earthworks deemed illegal underway at the 9,000-square-metre site, said Lt Sompop Kamkana, who led the naval security force on the raid. “We found eight drivers with eight trucks. One person got away in a car,” he reported. “We contacted Sarawut Seesakukam, president of the Mai Khao Tambon Administration Organisation (OrBorTor), after one of the drivers told us that Mr Sarawut was their boss. “Mr Sarawut accepted that he owns the business, so I asked him to come here, but he said that he was unable to as he was in another province,” he said. 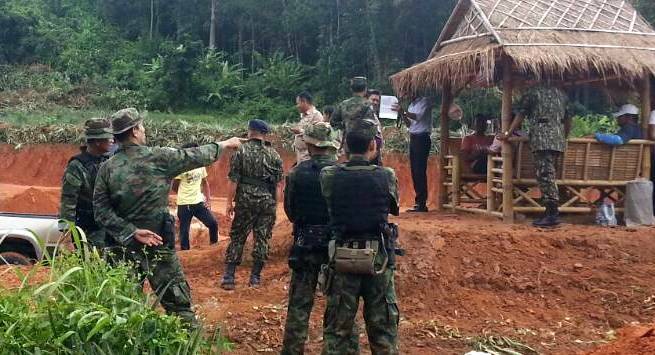 Accompanying Lt Sompop and his troops were officials from the Land Department, the Department Natural Resources and Environment and the Forestry Office, all of which claim the work conducted at the site is illegal according to the laws and regulations each is tasked with enforcing. Also joining the raid were police and officials from the Damrongtham Center (provincial ombudsman’s office). 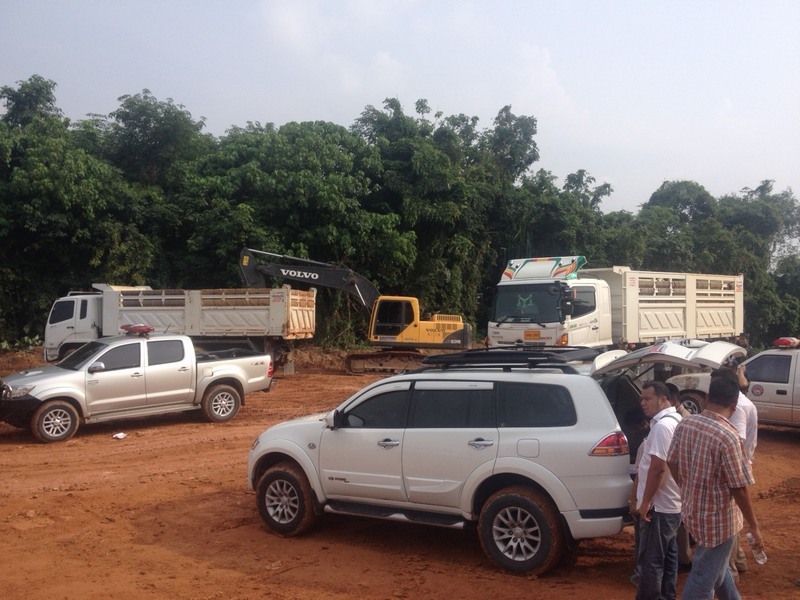 Lt Sompop alleged that Mr Sarawut’s business was operating under an expired license, conducting the incorrect form of excavation at the site, and excavating beyond the limits permitted at the site.